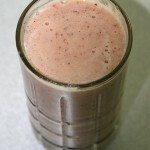 With the plethora of raw smoothie recipes available on the Internet, it can be difficult to know which ones you should choose. 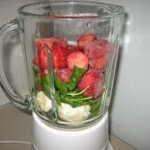 If you suffer from high blood pressure or cardiovascular disease, as many Americans do, there are several ingredients that you can add, in variation, to your daily green smoothie recipes to assist your body in fighting these conditions. Strawberries – Strawberries are an excellent source of Vitamins C, K, and B1. Furthermore, they contain folic acid, which has been clinically proven to assist in lowering blood pressure and are common in raw food smoothies. Tomatoes – Tomatoes are particularly beneficial when added to your daily raw smoothie recipes, because they contain potassium and niacin. For years, niacin has been used to treat high cholesterol, and potassium is an essential component in lowering one’s blood pressure. Cucumbers – Cucumbers also serve as an excellent source of potassium in your diet. Cucumbers are considered a mild diuretic, due to their high water content, which can assist an individual in losing weight and lower high blood pressure. Green Onions – Green onions, in scientific and clinical trials, have been shown to lower blood sugar, decrease one’s risk of high cholesterol, and lower high blood pressure. 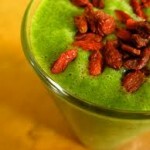 When added to your green smoothie recipes, other nutrients you will acquire include potassium, Vitamin C, and copper. 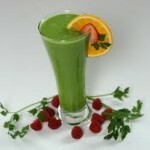 Wheatgrass – Wheatgrass is considered to be one of nature’s “superfoods” and is a great raw smoothie recipe ingredient. 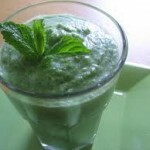 It contains vitamins, minerals, enzymes, amino acids, and considerable amounts of chlorophyll. The juice of wheatgrass encourages the expansion of your blood capillaries, improving blood circulation throughout your body and reducing high blood pressure. Guava – Guava fruit contains a wide variety of minerals and vitamins, including fiber, Vitamin A, potassium, copper, and manganese, as well as folate. It is beneficial in treating numerous conditions, including high blood pressure. I am taking hypertension medicines. 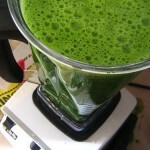 Started a month ago drinking green smoothies two to three times per day with one meal per day. 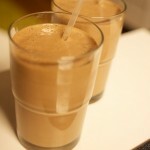 I put vegetable protein, bee polled and maca powder in them as well. Now my blood pressure is very low. The , owest being 79/53 pulse 50.